I want to talk about a few travel guide programs I've seen, and related programming that helps us get a bit of the world from our couches. I am indebted to many people, several Couchsurfers, for sharing these programs with me and would like to pass on the word so that others can see the world through their eyes. They are not all normal in the sense that it would be a good thing to put on for your mother and father...If you don't have young impressionable children hanging around I suggest you watch at least parts of them so you can experience a bit of the necessary shock. After all, the world is shocking, isn't it? Madventures: This program goes all about the world, generally to places that are crazy or dangerous and they do the most unimaginable things, often getting in harm's way to bring the program to you. Typically they brief the viewer on the point of their mission and give a bit of background information which is helpful. The creators are Finnish and they are a lot of fun, often using rock, paper, scissors to decide on difficult matters. I really enjoy it, but it might be a bit disturbing to some--for instance, during their cooking time entitled 'Madcook'--they eat some very interesting things to say the least. Wikipedia has a nice entry on what they do. Check out season 3, since the others are all in Finnish...I highly recommend this one! 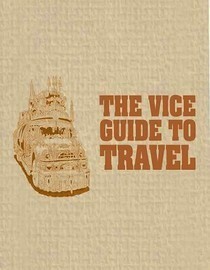 Vice Guide to Travel: Something I recently discovered on Netflix; it shows many very interesting segments on the world, and some of their programming is very exciting. It is not the most professionally done production but if you want to learn something new about the world then I suggest watching it, even if you skip though parts that do not interest you. One of the things I dislike the most about this program is simply the language used--there is a lot of unnecessary crude language which takes away from it. The episode on North Korea, episode 8, is quite good, showing a lot of North Korean footage that I have never seen elsewhere. 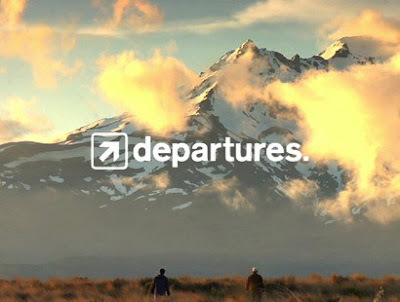 Departures: Filmed buy some Canadian guys who wanted to get out and see the world leaving their lives and jobs, and even girls behind. In my opinion the video quality is excellent and they did an excellent job from what I have seen so far. I have not been able to finish the entire series (moving across the world slows me down) but I recommend it all the same. I'm not as crazy on what they have to say, as I don't find it super enlightening, but the footage is just the opposite. 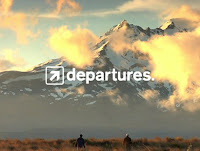 I would describe it as more 'normal' people traveling--if you consider yourself more calm but want to see the world this is a good one to watch. Not everyone wants to kill animals and buy illegal arms as you might see in the previous shows. 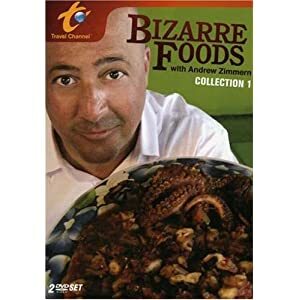 Bizarre Foods with Andrew Zimmern: Great for people wanting to get acquainted with foods from all over--he does an excellent job representing Korean cuisine, of which I am very fond. He mind be a bit annoying if you don't appreciate people who absolutely love what they do. He is very energetic but worth watching and doesn't complain about eating different foods. I would watch an episode of this show before going to a country to get an idea about what to eat. Wikipedia has a very well developed article on this also. great stuff, you totally have my support. Some people don't care for the host--he's really excited about life and food but at least he's not a culturally insensitive idiot like they get in some programs... He always eats crazy foods that locals even worry about eating... He just digs in, that's what I like most about him. I am glad he went to Korea, he showed some interesting foods from there.